The one pictured here is the sporty V6 Version with over 500HP. 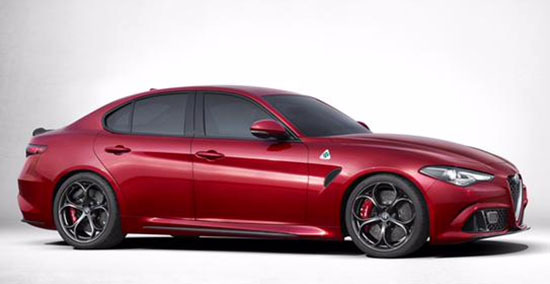 Which means, it competed with the BMW M3. Not the regular 3 series. Hard for me to judge the design. Since I really hate spoilers and black wheels. 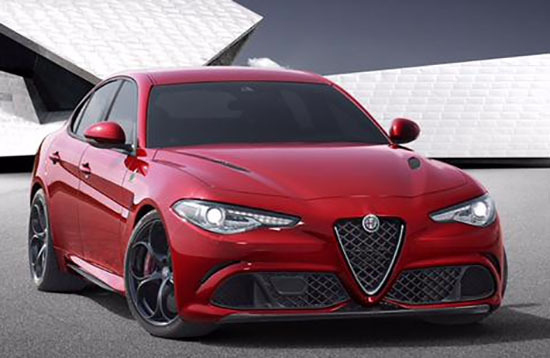 I *want* to like it..........I mean, brand new RWD Alfa! but nope. It's sort of cool looking, but it doesn't exactly WOW me either. I'm glad that they went with a horizontal design for the headlamp clusters. The bulbous looking ones they have been using recently looked awkward to me. I do agree that I really want to see other versions of this than this tricked out QV version. This would have made so much more sense as an entry-level sub-Ghibli Maserati than it does as a flagship (for now) Alfa. Even the greenhouse and taillights look more Maserati than anything Alfa has ever produced.. where are the hidden rear door handles, for example? VW Lamando = 2017 VW Jetta?